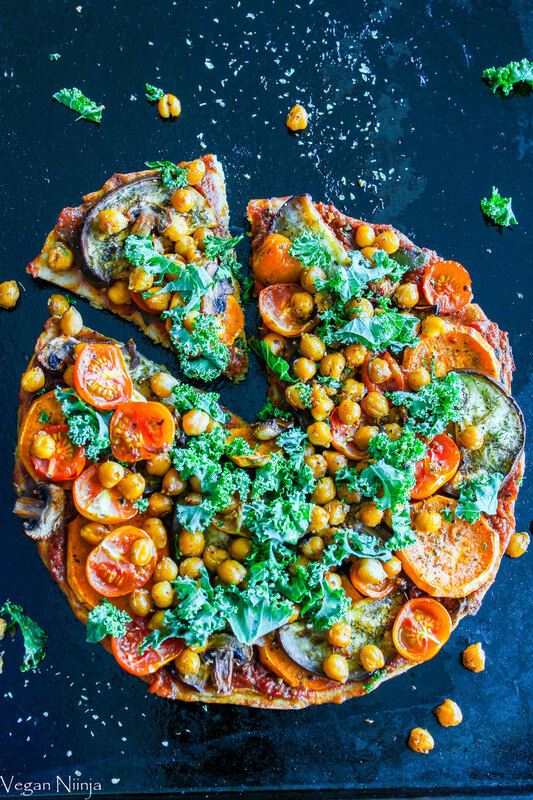 Healthy Vegan Pizza - simply & healthy vegan recipes that taste amazing! 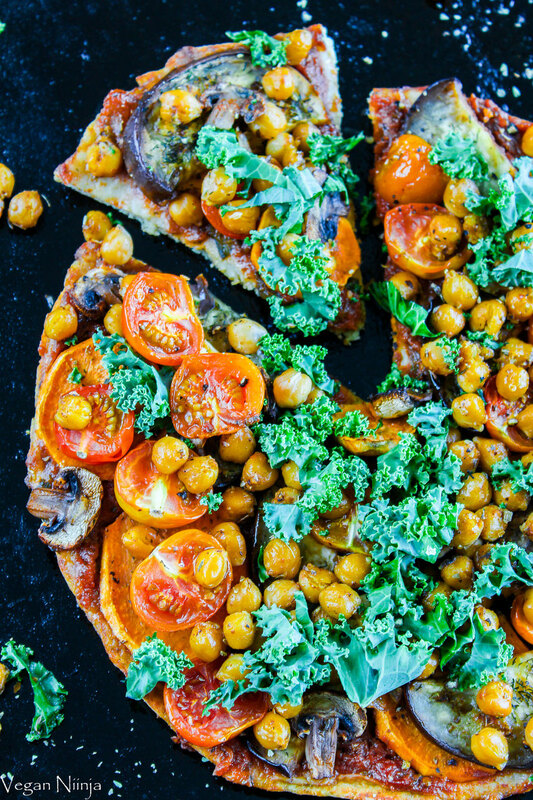 This pizza is super delicious with a soft gluten free crust! If you are a fan of pizza then you just have to try this one. You dont need a blender for this one, only a bowl, the ingredients, your hands, and an oven. The crust is made of chickpea flour, sorghum flour, psyllium husk, olive oil, sea salt and water. You can choose the toppings you prefer! 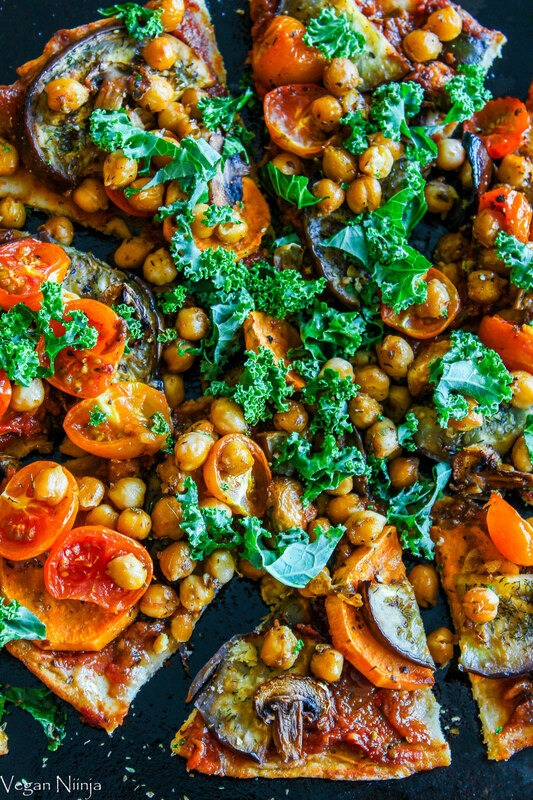 I added a lot of tomato sauce, sliced eggplants with spices, mushrooms, tomato, sweet potato, roasted chickpeas and kale. 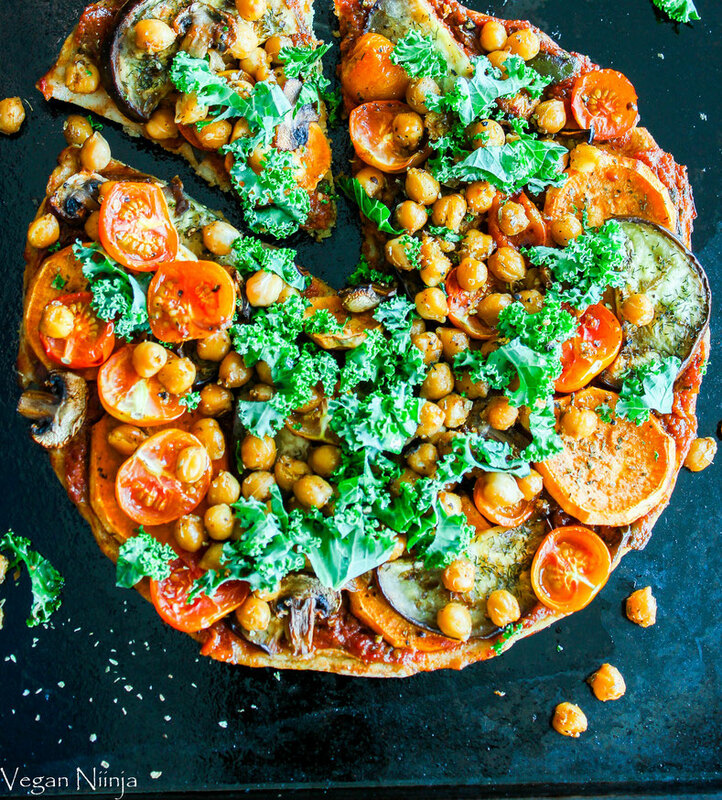 My healthy veggie pizza is 100% gluten free, filled with nutrients and taste amazing! Try it out and let me know how you like it! Mix the different flours and the other ingredients for the crust in a bowl, knead the dough with your hands for 3-5 minutes. Press down the dough on a parchment paper and form a pizza with edges. Make the pizza as thin as you possible can. Preheat the oven to 200 or 250 degree celcius. Spread the tomato sauce on the crust. Slice the eggplant and add some olive oil, sea salt, dill, spices and pepper to slices. Slice the sweet potato, mushrooms and tomatoes and decorate the pizza with them. Bake the pizza for 10-15 minutes or until golden. In the meanwhile roast the chickpeas in the coconut oil or olive oil, together with pressed garlic, the spices and sea salt. Roast for 2-3 minutes on high heat. 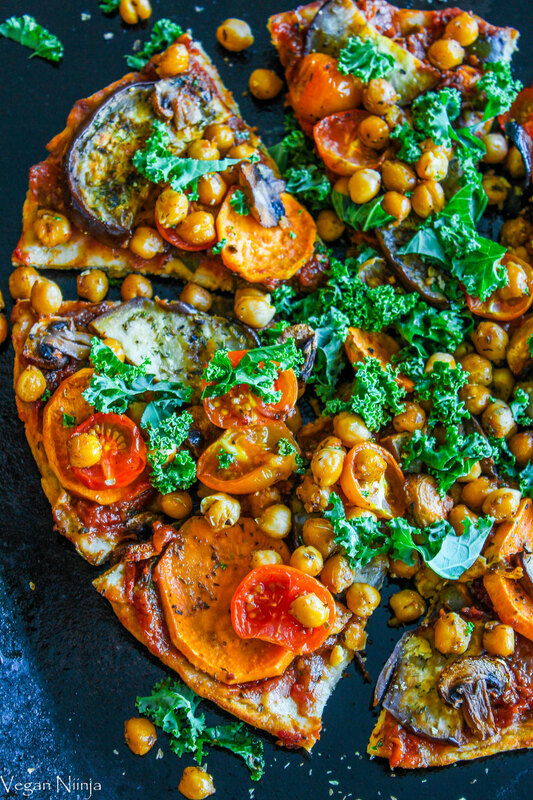 When the pizza is ready, add the chickpeas and chopped kale, and enjoy! Let me know if you try out my recipe! You can tag me @vegan.niinja on instagram or facebook!